Quarter cabbage, and discard core. 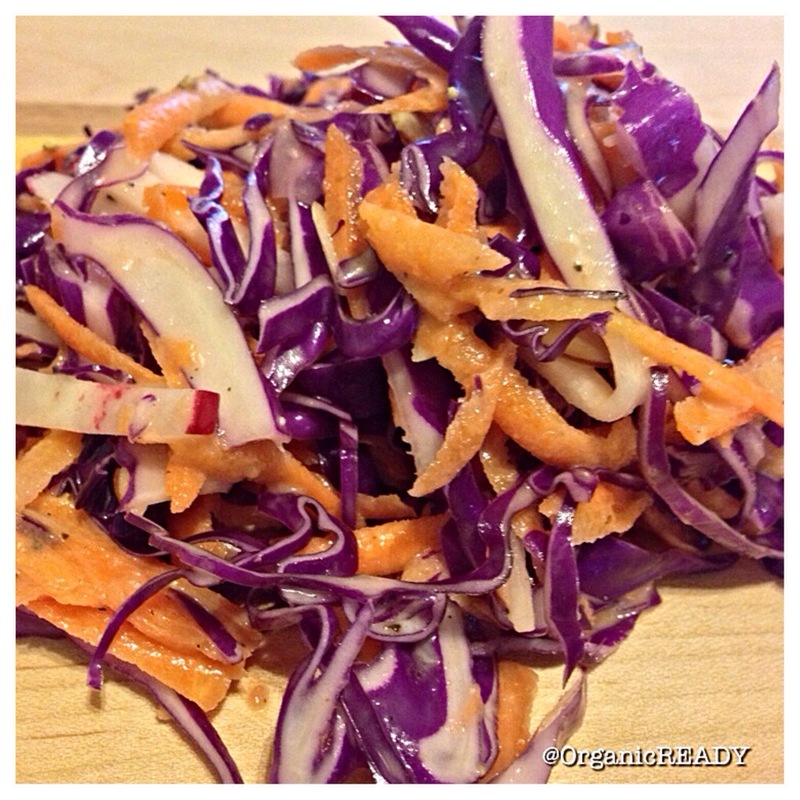 Shred cabbage and carrots. Slice radishes thinly. Transfer to a large bowl. In a small bowl, stir together mayo, lemon juice, olive oil, maple syrup, and ground cardamom. Season with salt and pepper. Now, pour mixture in with cabbage, and toss to combine. Just before serving, sprinkle cabbage with the almond slices. Red cabbage belongs to the cruciferous family of vegetables (broccoli, Brussel sprouts, radish, watercress, kale, etc. ), which makes them extremely important for fighting cancer. Cold slaws is a great way to incorporate them; especially since they’re raw in your diet.